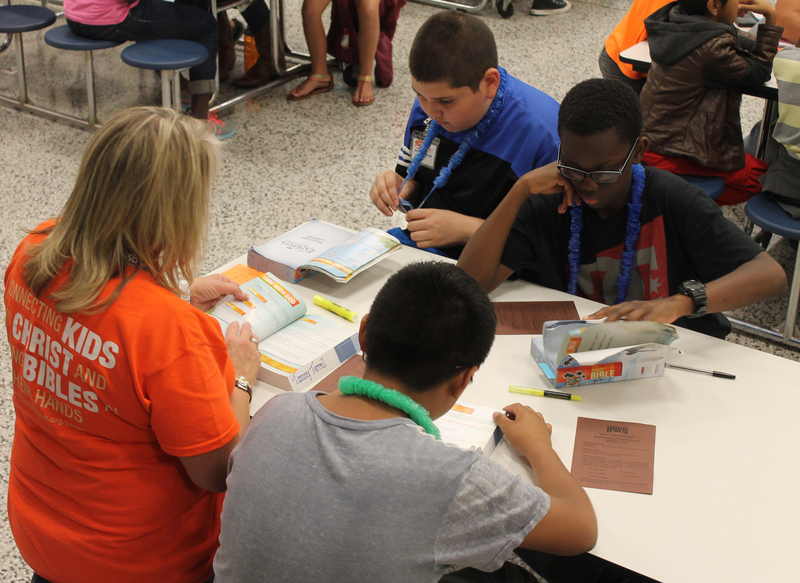 The KiDs Beach Club® “Hang 10” Summer Reading Program is about to enter its final month. It’s designed mainly with the Beach Club kid in mind to give them a plan to help them spend 10 minutes every day with God, reading His word or in prayer. The reading plan isn’t just for kids. It’s for everyone. We invited KBC volunteers as well as the siblings and parents of Beach Club kids to participate. We even encouraged you to forward it to anyone looking to spend more time immersed in God’s word. The focus this month has been to find out what God’s word says about the 24 character words taught in Beach Club. We want them to discover God’s character and explore how they can live with Biblical character, too. Tammy Terrell, a Strategic Growth Director for KiDs Beach Club®, is reading along with you and your kids. One day, she discovered what she called a “gold nugget” nestled in the middle of a very familiar passage. On July 6, she was drinking a cup of coffee and reading the Bible. “I was praying about an upcoming doctor appointment and reflecting over the past month,” she said. “I opened the Summer Reading Program and turned to the Gospel of Mark. The character word that day was compassion and the question asked, "How did Jesus show compassion?" 30 Then the apostles gathered to Jesus and told Him all things, both what they had done and what they had taught. 31 And He said to them, “Come aside by yourselves to a deserted place and rest a while.” For there were many coming and going, and they did not even have time to eat. 32 So they departed to a deserted place in the boat by themselves. 33 But the multitudes saw them departing, and many knew Him and ran there on foot from all the cities. They arrived before them and came together to Him. 34 And Jesus, when He came out, saw a great multitude and was moved with compassion for them, because they were like sheep not having a shepherd. So He began to teach them many things. The answer, and the focus of compassion for the Summer Reading Program, is on the crowd. However, Terrell can’t help but think Jesus showed incredible compassion to His disciples as well. Think about it! Almighty God in human form, Creator of the universe, Jesus, invited His disciples to get alone with Him and find rest. Do you know that this same God, Jesus Christ, invites you and me to come with Him by ourselves to a quiet place and get some rest? No matter what life throws at you, know that you can pick up your Bible, get alone in a quiet place, pray and find rest for your soul. If you are not currently Hanging with God at least 10 minutes a day, we want to encourage you to join us. The Summer Reading Program continues through August and you can always go back and see what you might have missed by visiting our website. God loves you and invites you to meet with Him by reading the Bible and praying. Do you know Jesus personally? Has there ever been a time in your life when you asked Jesus to forgive you of your sins and place your faith in Him alone to save you? If you haven’t, we would love to talk with you. In fact, it’s as simple as A-B-C! ADMIT you have sin. BELIEVE Jesus died on the cross to save you and forgive you of your sins. And make the choice to CHOOSE to follow Jesus by inviting Him into your life. 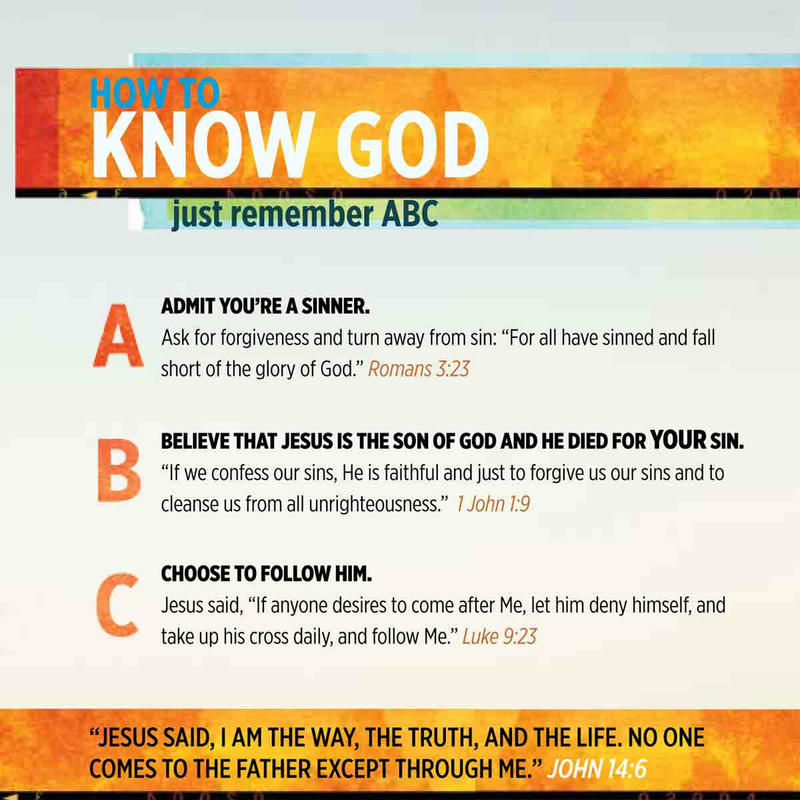 You can read more about the A-B-C’s on the tip-in pages of your child’s KBC Study Bible between pages 626-627. We want to encourage you to call KiDs Beach Club® and let us know if you have questions or if you have something we can pray about for you. Please share your story of how KiDs Beach Club® or your child’s KBC Explorer’s Study Bible has impacted your child, yourself or your family. You can even send us photos of you and your children reading their KBC Study Bible to news@beachclubs.org. We would love to hear from you.